The Beato Pro 2's are back! One ply leather-like material with fleece interior, heavy duty 10CF YKK zippers, nail rivets, heavy duty webbing handles in your choice of 10 different colors (red, "Dodger" blue, pacific blue, yellow, orange, green, rainbow, purple, silver-grey, and black). Available in any drum size combination. 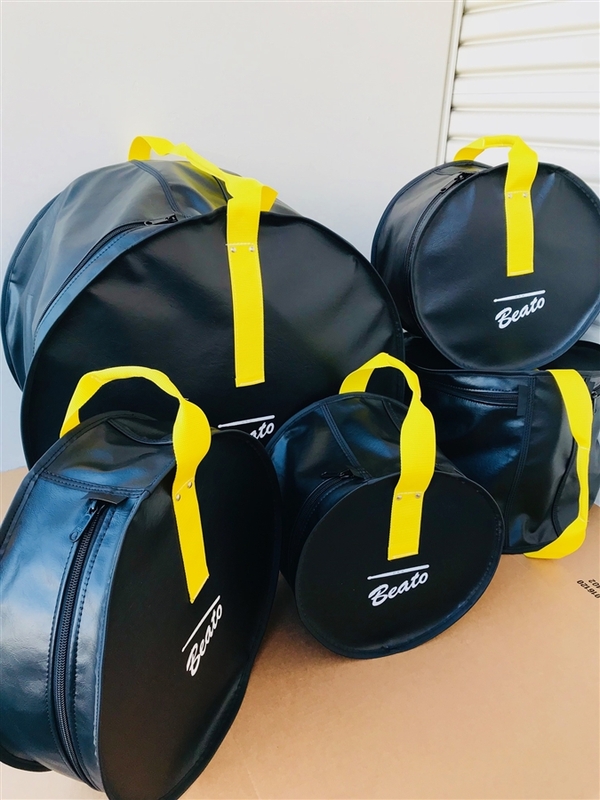 After you complete your purchase, please contact Beato USA by phone (310) 637-1180 or by email to Artist@beatobags.com with your order # given to you at check out. Provide your drum sizes and color webbing choice. Free Shipping within the continental USA only.